As kids, we’re often told that if we can’t say anything nice, we shouldn’t say anything at all. We’re also told, as we transition into adulthood, that conflicts should be resolved in a calm, respectful manner. These two guidelines are a good roadmap for a conflict-free existence. There’s only one problem – it takes two to tango, as they say, and just because you’re perfectly willing to abide by these rules doesn’t mean everyone else is. Certain people prefer to live outside the bounds of “polite society.” Maybe they think the rules simply don’t apply to them, or maybe they’re unable to not speak their minds when they feel it’s warranted. Either way, these people barrel through life like an out-of-control freight train, flattening everything in their path. Just ask these two parents, who were holding a birthday photoshoot for their one-year-old, only to be blindsided by a very angry local. 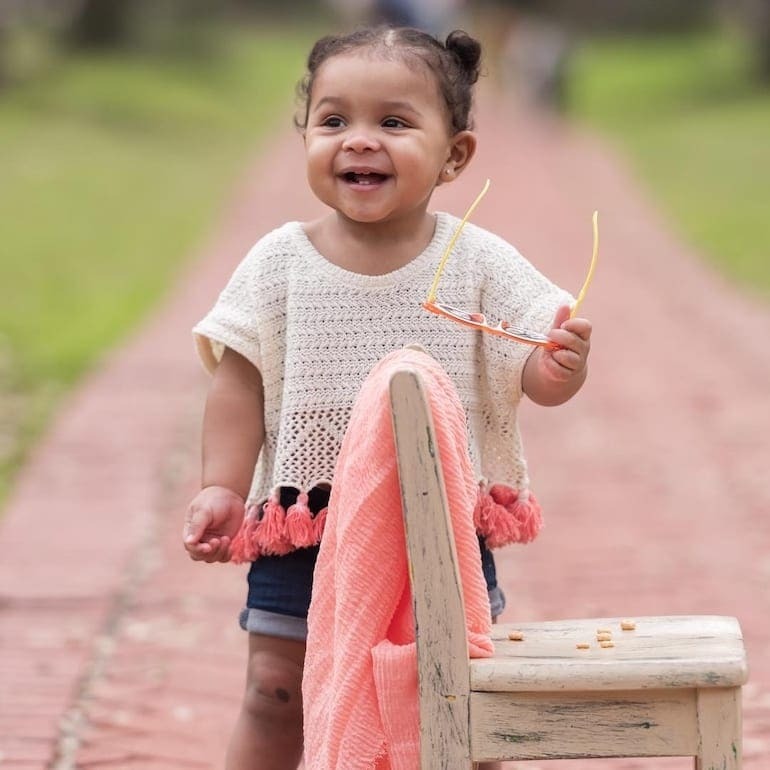 It was a Saturday afternoon in February when Kelyn Alyssa and Isaiah Allen, two young parents from Houston, Texas, visited a public esplanade with their one-year-old daughter. They weren’t just there to enjoy the area’s gentle trees. 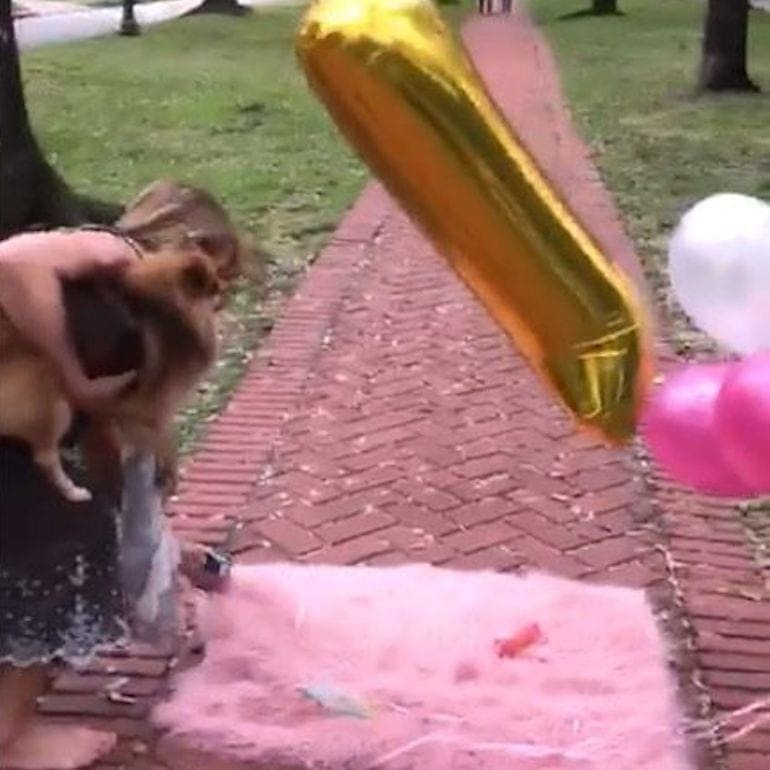 Their daughter would be celebrating her first birthday soon, and being the doting parents that they are, they decided to hold a professional photoshoot for her, complete with foil balloons. 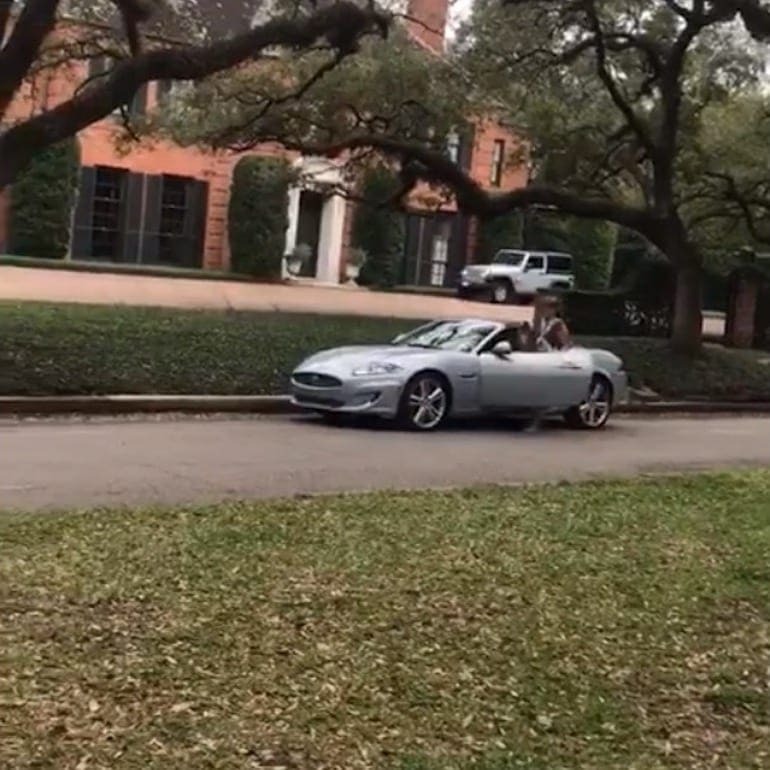 They weren’t the only group snapping photos along North Boulevard, in Houston’s Broadacres community, so you can just imagine their surprise when the birthday photoshoot was crashed by a very angry uninvited guest. Kelyn and Isaiah, like many parents these days, wanted the first birthday of Anja, their baby girl, to be an occasion she’ll be able to look back on fondly later in life. To make sure that happens, they hired a professional photographer to capture some precious moments. They traveled to the city’s North Boulevard, located in the upscale Broadacres community. 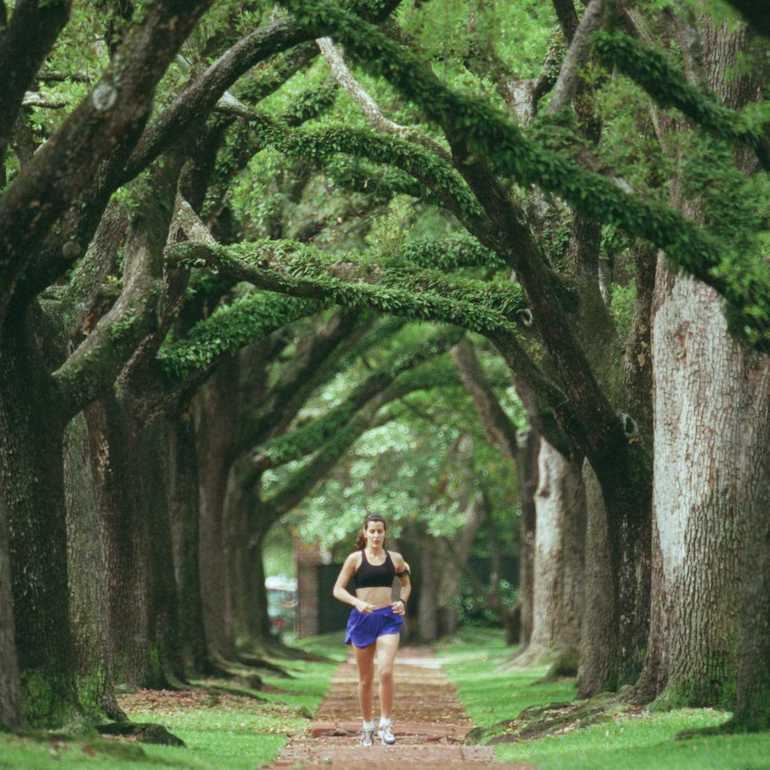 Its long walkway, shaded by trees on both sides, is an extremely popular hotspot for photographers. Kelyn and Isaiah were no different, and set Anja down as they unfurled a pink blanket, with balloons completing the set, one of them in the shape of a large 1. There was no indication such a perfect day could go wrong, but it did – badly. 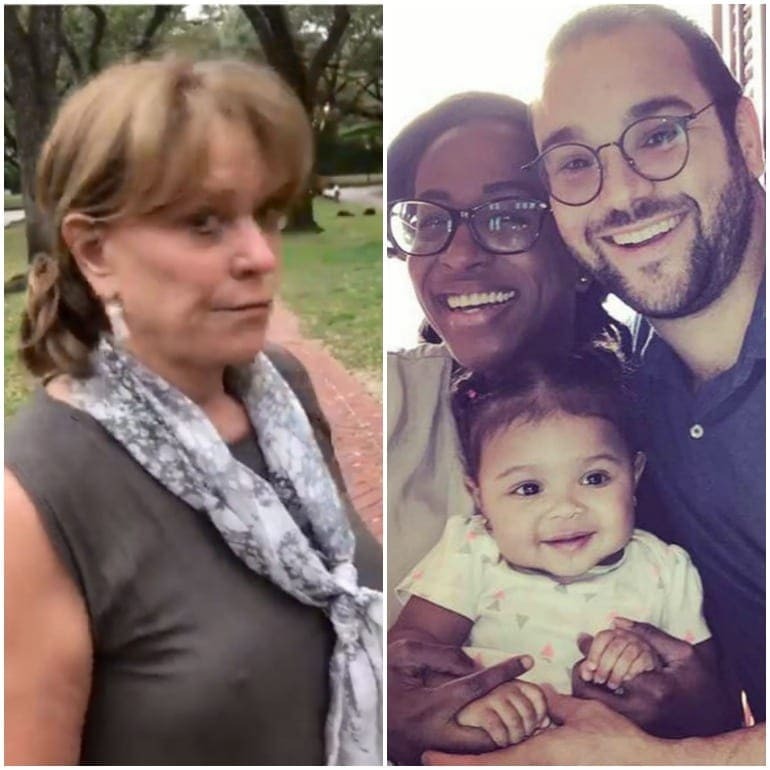 As soon as the woman, later identified as Houston socialite Franci Neely, emerged, she made a beeline for the parents and Anja. At this point, she released her dog, who wasn’t on a leash, and he came just a little too close to the baby girl who was sitting peacefully on the path. 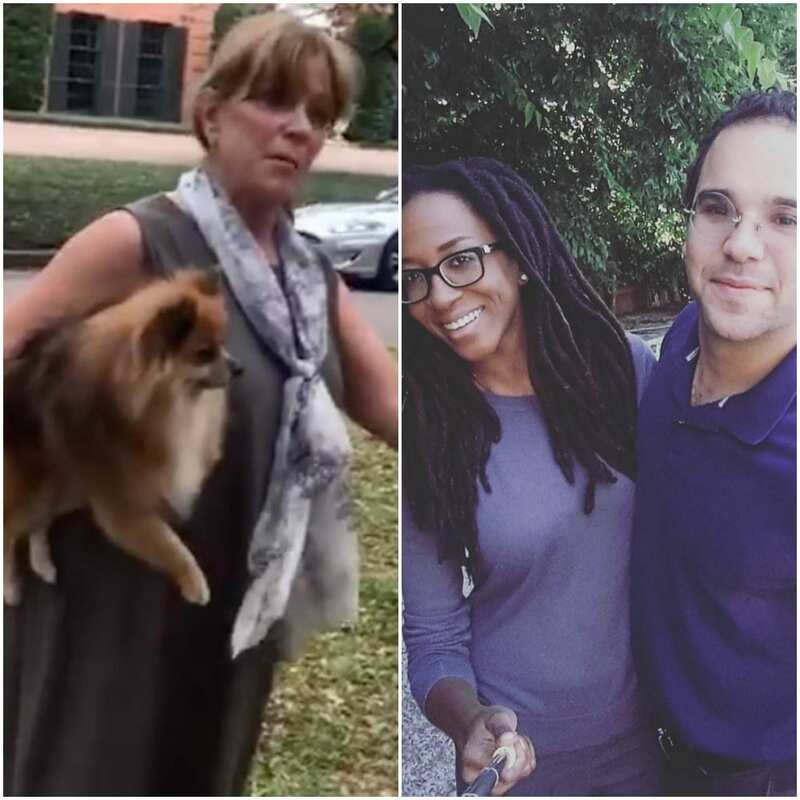 Fearing for Anja’s safety, Kelyn claims that she calmly asked the woman to get her dog away. Neely refused, however, and kept raving about them being on private property and that she could do what she wanted with her dog. Crouching down to shield the baby, Kelyn asked again that Neely take him away. Isaiah took out his phone at this point, and started filming the situation. Neely, meanwhile, stomped towards the props and started aggressively removing them from the path. This scared the baby, who started bawling. While Isaiah and the photographer tried to stop her, Kelyn told Neely she was upsetting her child. She would soon be turning her attention to people rather than objects, however. “Shame on you,” Kelyn repeatedly told Neely, who seemed to be walking away towards her dog, who had wandered off in the meantime. Isaiah yelled after her that she should tell the people taking photographs just up ahead that they should leave as well. When Kelyn accused her of bringing her dog there to bite her child, however, things went off the rails. “You know that’s a lie,” Neely said, accusing the mother of being “crazy.” When Isaiah told Neely that she herself was crazy, she turned towards him and swatted at him – or his phone. Walking back to get her dog, she grabbed him and said, “Here’s the big biter” before swatting at Isaiah again. Speaking about the incident later, Isaiah and Kelyn both felt they were being singled out for some reason. At the very same time Anja’s first birthday shoot was going on, at least two other unrelated shoots were being staged in the very same stretch of North Boulevard. 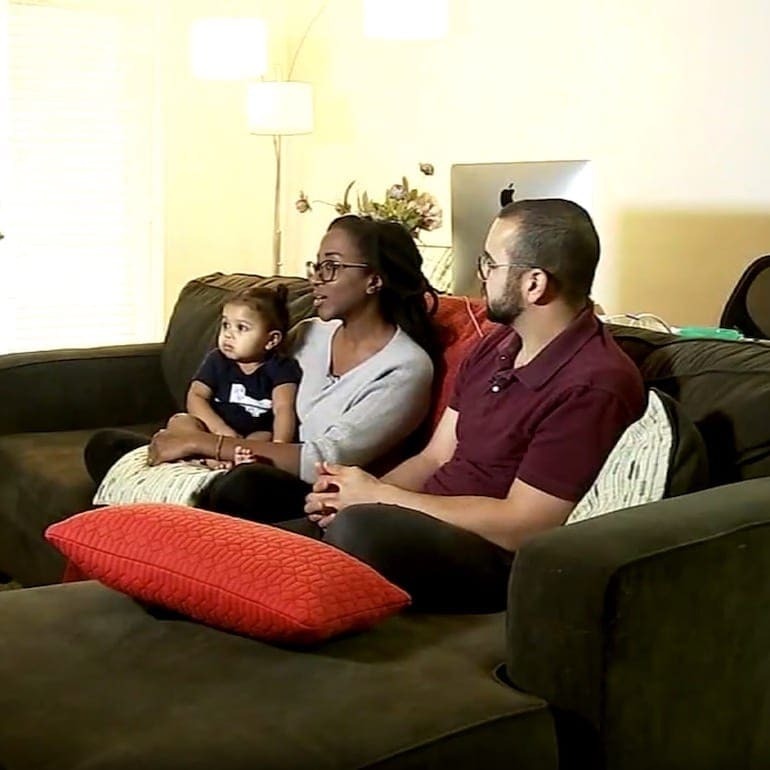 The mixed-race couple had a working theory as to why Neely chose to accost them specifically. 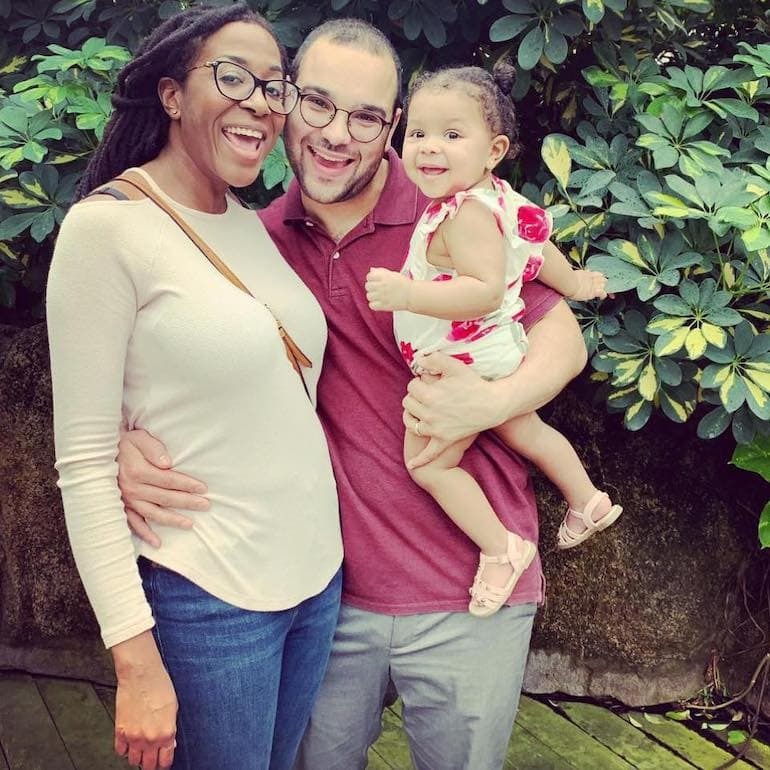 Kelyn is from Port of Spain, the capital of the Caribbean country of Trinidad and Tobago, and they believed Neely chose them because of their race. So who exactly is Franci Neely? 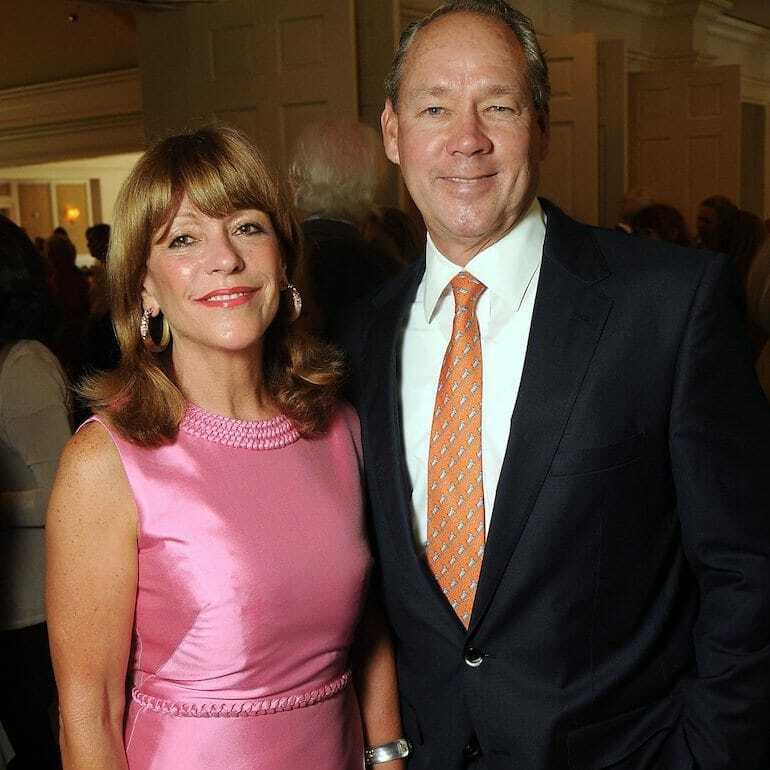 The well-known socialite was married to Jim Crane, owner of the Houston Astros baseball team. After 21 years of marriage, however, they divorced, reportedly leaving Neely with a $30 million settlement. The altercation between Neely and the couple was actually part of a much broader problem. 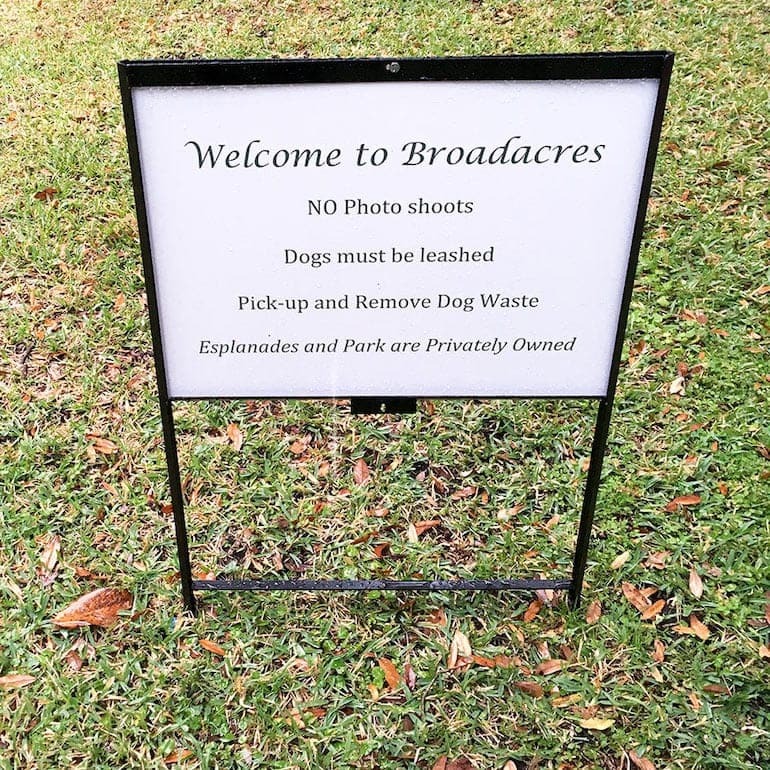 The real conflict, in fact, exists between the city of Houston itself and the Broadacres Homeowners Association, and rages over ownership of the esplanade. 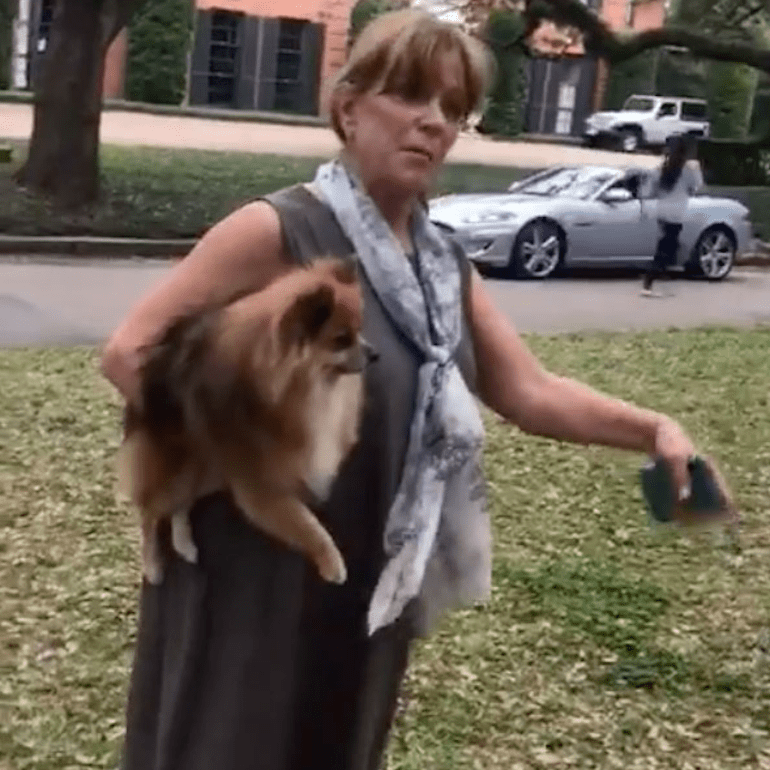 While Houston has iterated that its sidewalks were public property, the homeowners association has been fighting tooth and nail to have it recognized as its private property. The association president defended Neely, saying residents are nearing their breaking point after people went into residents’ gardens and stood on their front steps. Neely herself believed this issue was not a laughing matter. The homeowners association invests a lot of money to maintain the trees, grass, and walkways, she claimed. But a high volume of commercial photography that has invaded their neighborhood is damaging the property that they’re maintaining out of their own pocket, not to mention interfering with people who just want to take peaceful walks there. While the city has confirmed the homeowners association pays to maintain the grass on the esplanade, it sticks to its position – it’s everyone’s property. Eventually, Neely released her first official statement on the altercation. “I am very sorry that I got upset,” she opened with a conciliatory tone before going on the offensive. She claimed three groups were shooting simultaneously on North Boulevard that day. 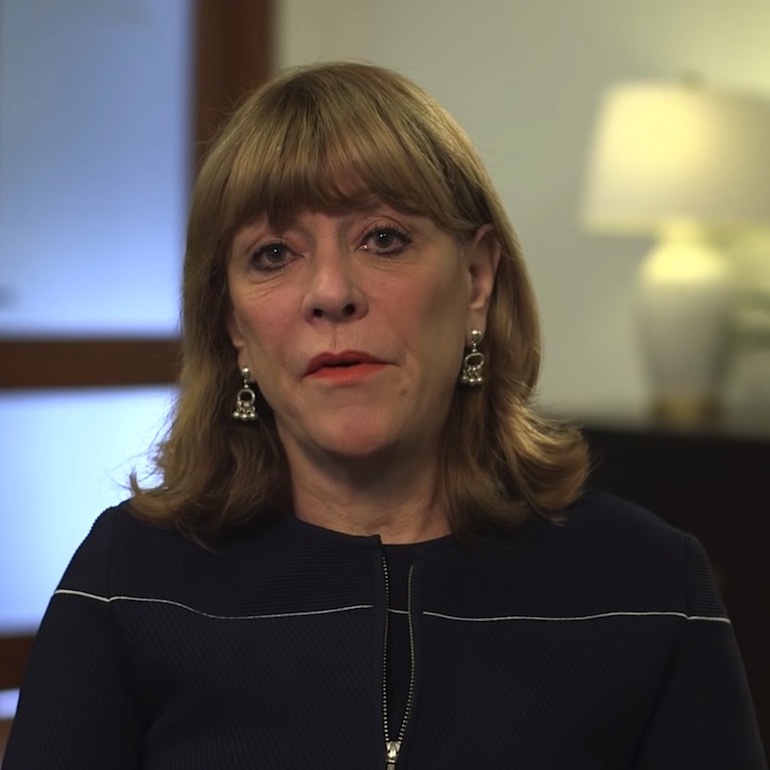 Later, Neely released a video in which she spoke in broad terms about how sorry she was. It would be hard to call it an apology to Kelyn or Isaiah, however, since she never mentions any of them by name. “To my family, friends, neighbors, and fellow Houstonians,” she said, “I ask for forgiveness and understanding.” Her voice cracking, Neely iterated her love for Houston, and asked for everyone to come together to heal. “I extend my hand in friendship,” she concluded, although without mentioning to whom. Her two statements, apologizing for and explaining her behavior, should be taken in the context of what seems to be repeated behavior. After the incident with Kelyn and Isaiah was made public, another video was unearthed. 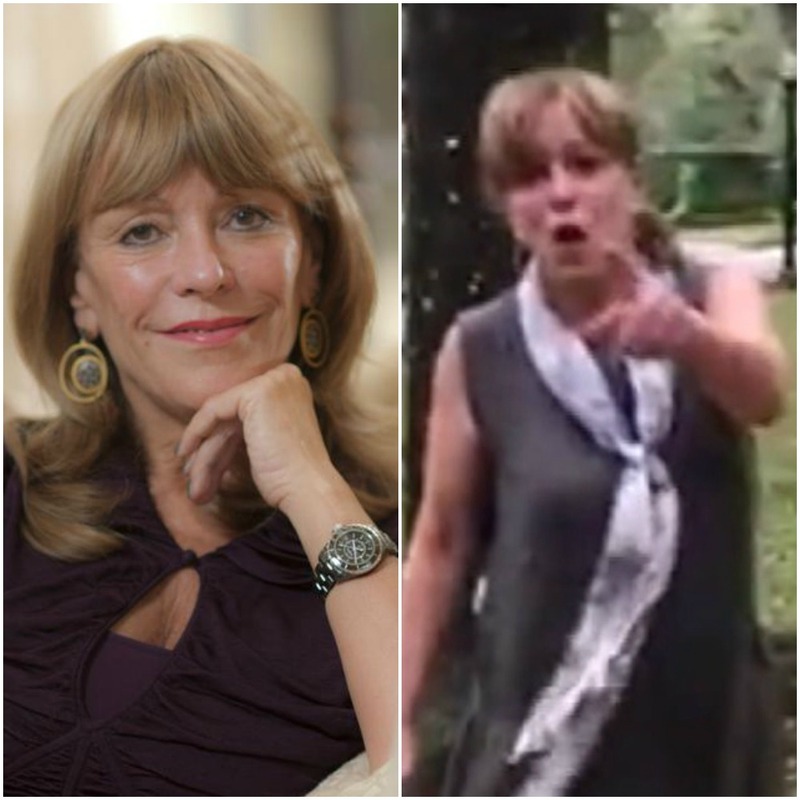 Supposedly filmed around the same time, and taking place again on North Boulevard, the six-second video showed Neely approaching the man filming her. “You don’t have permission to do that, sir,” she says, “and I’d appreciate you quitting.” She then – you guessed it – swats at his phone. Regardless of who you might think is morally in the right in either video, it should be noted that Isaiah’s video of the incident definitely shows someone breaking the law – and it isn’t them! While Texas doesn’t have any state laws specifically ordering dog owners to have their dogs on a leash when outside, Houston absolutely does. The city’s municipal code says dogs aren’t allowed to be “at large” outside the direct physical control of their owners. Neely’s dog, it would seem, definitely fell into that category. That slight transgression aside, Kelyn and Isaiah did file a complaint with the Houston Police Department for Neely’s alleged assault of them. A spokesperson for the police confirmed that a complaint had been filed, and an investigation was underway. To date, however, no arrest has been made and no charges have been filed. 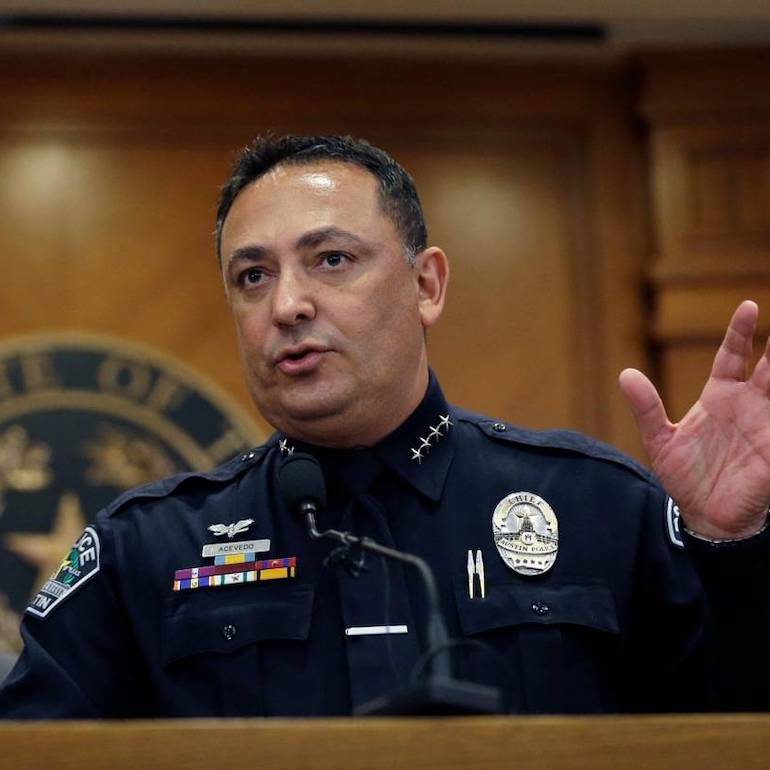 Analysis of the cause of the police’s apparent inaction will be left up for debate. Suffice it to say, however, that the two separate incidents caught on film merit a closer look at Neely’s conduct. In the end, this is a classic case of she said-they said. On the one hand, it could be claimed that Neely is a quintessential example of a very rich person with a very bad case of entitlement. She thinks she owns the world, and everyone in it. On the other, it could be said such “gotcha” videos of people in vulnerable, agitated positions can make anyone look bad. What it comes down to, as always, is basic courtesy, and both sides could have showed a bit more of it. So who is Franci Neely really? 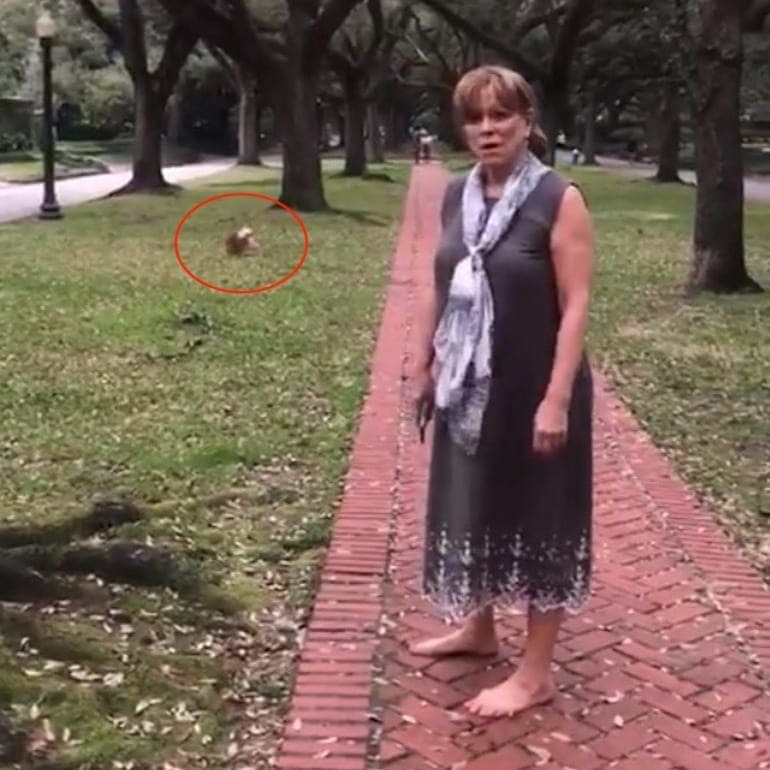 Is she the patron of arts who supports museums and founded the University of Texas’ Center for Women in Law, or is she the kind of person who habitually physically accosts people taking photos? The answer is likely that she’s both. Real people, contrary to what some Hollywood movies would have us believe, have many divergent and sometimes contradictory interests, instincts, and impulses. Neely can be a well-respected philanthropist, but have a fiery temper at the same time. 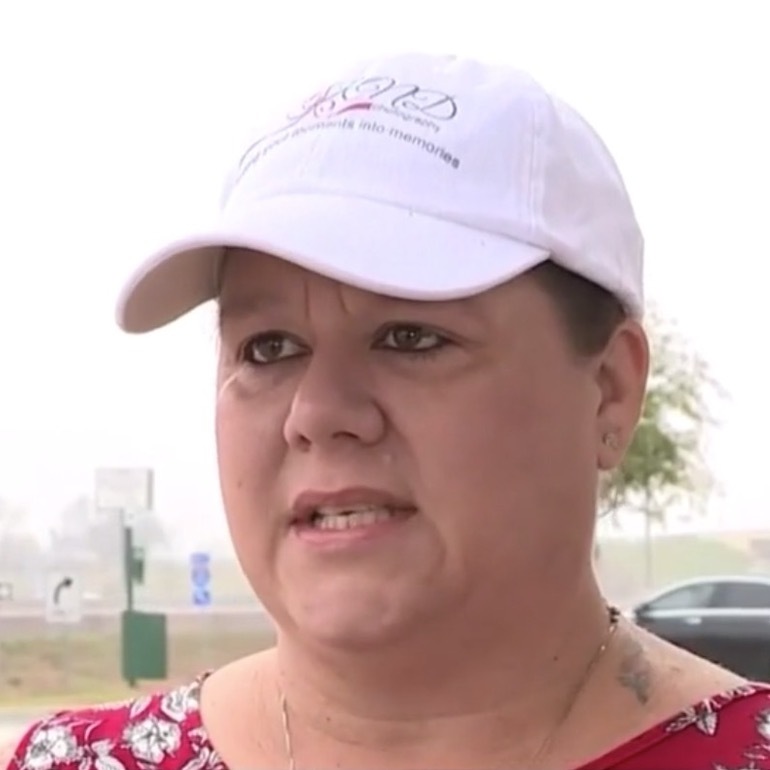 Mary Digiovanni, a professional photographer from Columbus, Texas, watched the video and was appalled by Neely’s behavior. Watching it broke her heart, she claimed. She was so moved by their plight that she reached out and contacted the family, offering them a photoshoot of any kind. Family photos, Easter photos or anything else – free of charge. “I just wanted to reach out to them and let them know there are still nice people in the area,” she said, adding it doesn’t take much to show some compassion. It appears that after Neely became famous – for all the wrong reasons – people started coming out of the woodwork with past incidents. 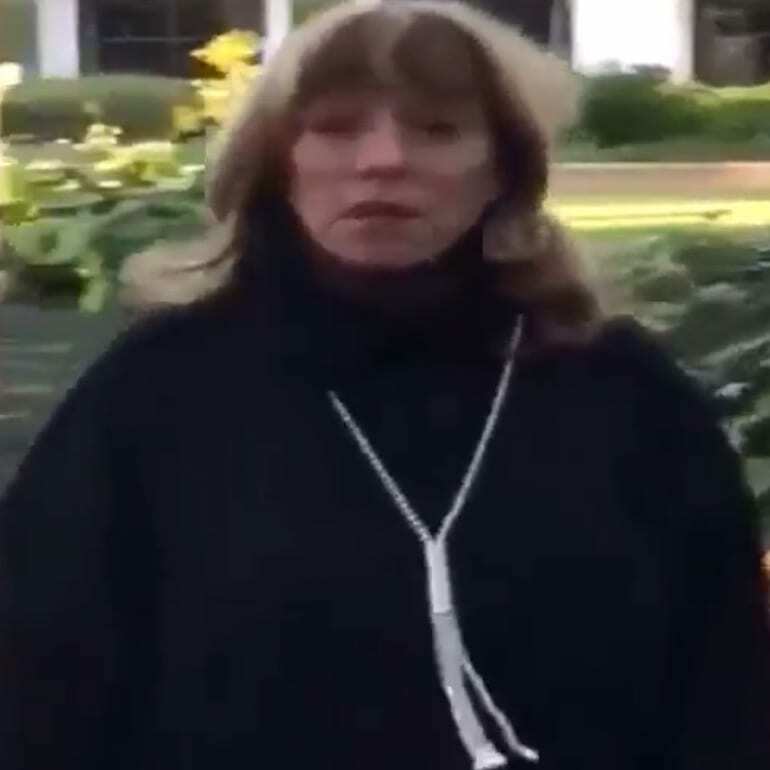 Yet a third video emerged, of a woman who resembles and sounds like Neely. Even though she did not confirm it was her, the incident was filmed in North Boulevard. 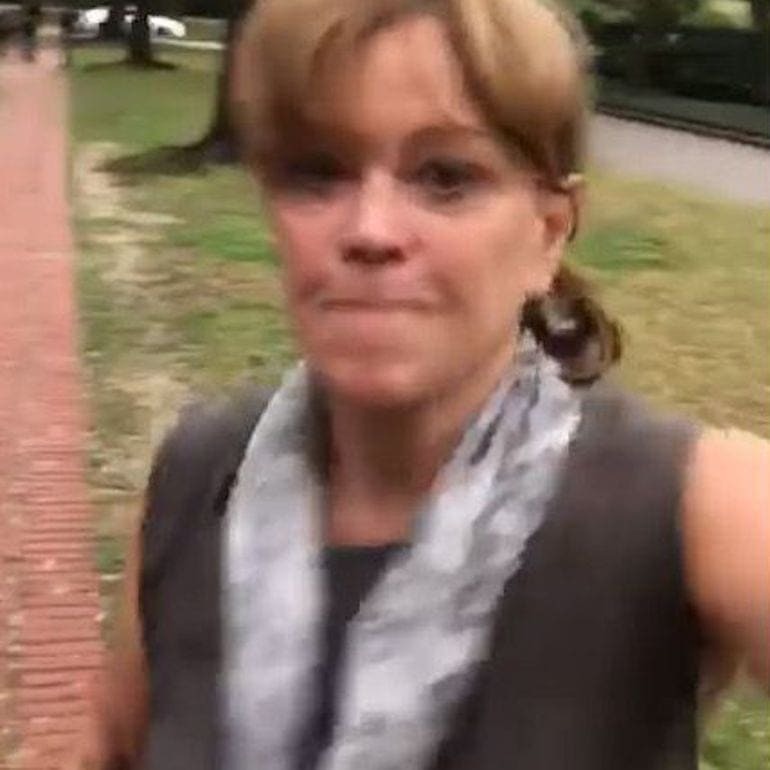 The woman was once again berating people for taking photos on the esplanade. This time it was high school students snapping some prom photos, and she told them they were on private property. Unsurprisingly, the story was carried by multiple news outlets, both in America and around the world in places like Australia. Unlike similarly viral news stories, however, it lacked a true and clear villain. After all, Neely could undoubtedly have been nicer and more polite, but she may have been pushed to the brink by commercial photographers invading her neighborhood in droves. The crowd of people commenting on the story, then, was consequently divided. Many rooted for Kelyn and Isaiah, of course, but some stuck up for the beleaguered Neely.